In the photography world, new models of cameras, photo-editing software, lighting equipment and other gear is announced on an almost daily basis. Therefore, it can often be incredibly overwhelming just to keep up-to-date with all of this new tech! Want to get up-to-speed about some of the latest photography tech and gear releases, within just a few minutes? If so, then keep reading! Yup, you heard correctly! Thanks to Lomography’s latest arrival, photographers can now enjoy shooting with a wide-angle glass lens whilst still embracing the more traditional photography format of film. While this product is still in the pre-order stage, we’re told that these could be shipped as early as April (plus, those who pre-order also get a free Lomo’Instant Automat strap and 4 extra color filter gels!). What’s so special about this particular camera release from the brand, we hear you ask? Apart from offering “the widest focal length on the market”, the lens is also multi-coated, meaning that it reduces unsightly reflections to produce clear, crisp, and colorful instant photos. Another technological advancement this camera model brings to the market is a maximum aperture of f/4.5, which is the largest aperture of any instant camera currently available. Users can also experiment with the Remote Control Shutter Release, Close-Up Lens Attachment, Splitzer, Bulb Mode, Multiple Exposure Mode, Color Gel flash filters and so much more. Now can you see what all of the hype is about? 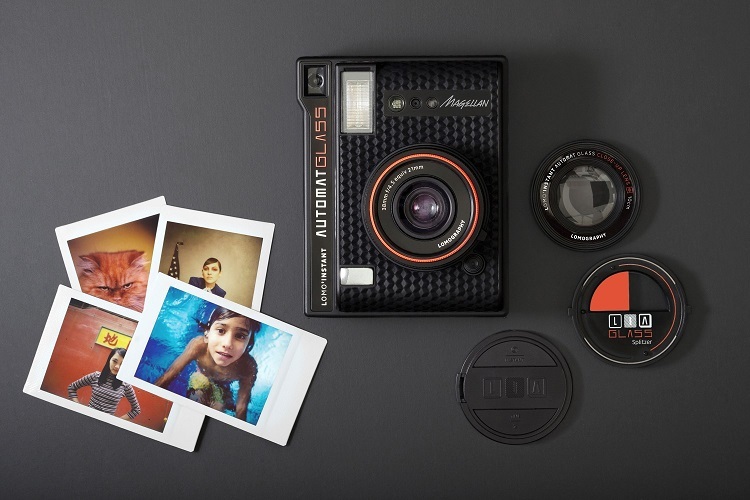 The camera uses Fujifilm Instax Mini Film, which is the widest available (and often the more affordable) option for shooting Polaroid-style photos. It also comes with Automatic Flash & Flash Off modes, meaning that you can shoot with it during both day and night. You can view the full list of features and package inclusions via the Lomography website. As a photographer, you’d be forgiven for paying more attention to the latest DSLR advancement than those to do with smartphones. However, this latest advancement with the Moto Z Smartphone might just have you interested! It can be fun to shoot on-the-go with your phone’s in-built camera, but what if you could actually make your phone look like a camera? The folk at Moto have actually created an attachment for their popular Z Smartphone range which allows the user to turn their phone into a point-and-shoot camera (as pictured). This attaches to the camera using strong magnets, however it is also just as easy to detach. The attachment makes several photography features available to the user, including: 10x optical/4x digital zoom, aperture of f/3.5-5.6, and video resolution of 1080p Full HD at 30fps. 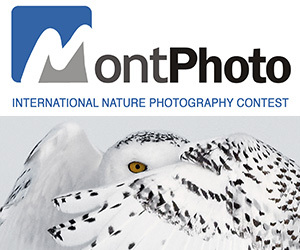 Additionally, capture modes include everything from photo, panorama, and video, to professional, night landscape, night portrait, sports, day landscape, and back light portrait. There’s also an on/off button to turn the camera off and on without having to unlock the phone first, plus the physical shutter release button and zoom switch takes away the painstaking task of having to pinch your screen to achieve photo perfection. Here’s some more elements of this technological advancement that photographers will love; you can adjust certain features such as ISO and capture mode, plus you can choose whether you want to shoot in RAW or JPG format. How cool is that?! It is important to note, however, that unlike actual cameras, neither the attachment nor phone allows you to use a tripod with it as it does not contain a tripod thread. 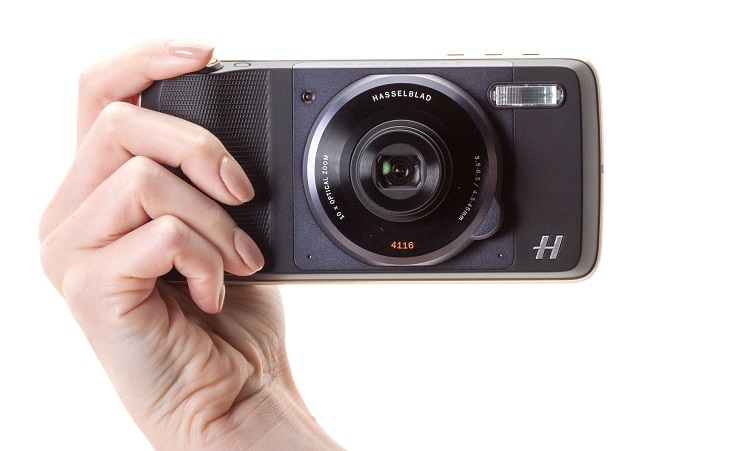 The Hasselblad True Zoom for the Moto Z Smartphone retails at $250 and also comes with a carrying case to prevent scratches or damage. It’s always exciting when Canon releases a new product, whether it be a camera body or a lens. 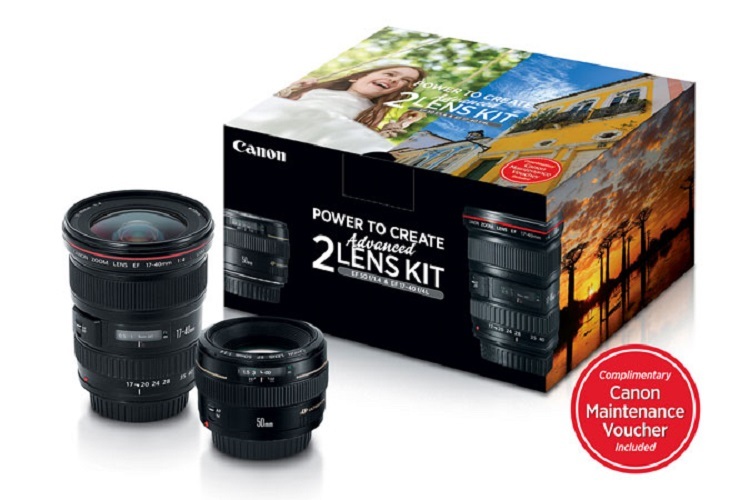 One of their latest developments include this Advanced 2 Lens Kit, being boasted as the “new realm of image quality”. In this handy lens two-pack, you can expect to find all sorts of wonderful things, including the two lenses (EF 17-40mm f/4L USM Lens with Lens Case and Lens Hood and EF 50mm f/1.4 USM Lens), along with a CD and Warranty Card (EF 17-40mm), EF Lens Instructions and Warranty Card (EF 50mm). as well as a Canon Maintenance Voucher. It was just 6 months ago that Polaroid announced an incredible new camera in its impressive range of products – the Polaroid Snap Touch, which offers “the traditional instant photography experience it’s known for with new features specifically aimed at today’s digital user”. The status of this latest release has recently changed from ‘available for pre-order’ to ‘available for purchase’, so understandably fans have been a little more than excited of late. There are several features which distinguish the latest ‘Snap Touch’ model from it’s predecessor, the ‘Snap’. These include: the addition of a 3.5” LCD touchscreen for framing shots and navigating the camera’s menu, a new and improved 13 megapixel CMOS sensor for higher-quality images as well as 1080p full HD video recording capability. 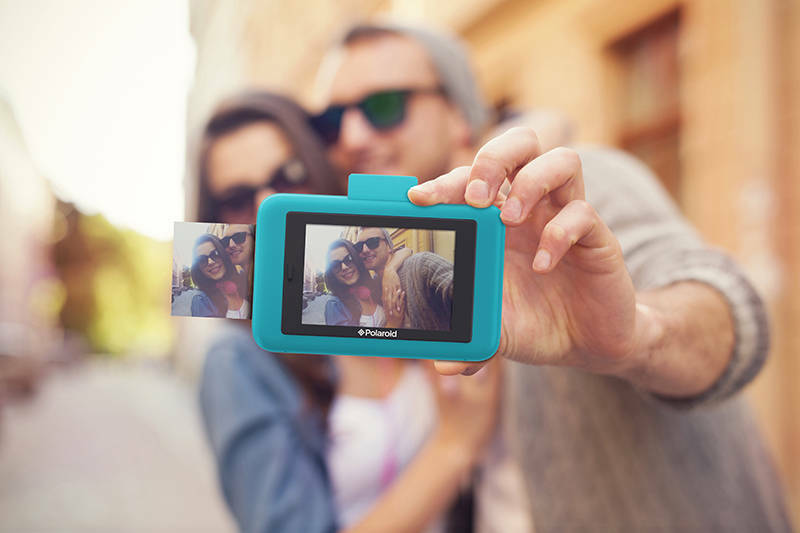 All images and video are stored on a micro SD card (up to 128GB) to allow for sharing later, plus the Snap Touch contains a printer which uses ZINK® Zero Ink Printing Technology, giving users the ability to capture and instantly print full-color, 2×3” photographs at a significantly lower cost than traditional instant film prints. It gets better though; if you’re a photographer who doesn’t mind capturing behind-the-scenes selfies and photos with your nearest and dearest, then you’ll love the addition of a self-timer and selfie mirror (which ensures that you’re all within the frame). 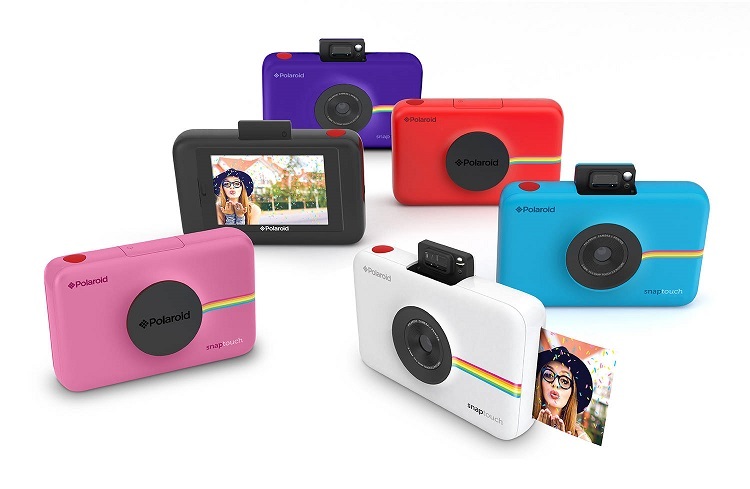 You also have the option to print with or without the iconic Polaroid Classic Border Logo – whichever takes your fancy. 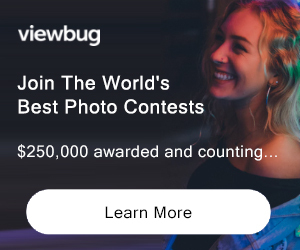 The new camera also has Bluetooth connectivity and integration, which opens up even more photo printing possibilities. Polaroid explain: “Using Bluetooth and the Polaroid Print App, users can now pair the Polaroid Snap Touch with other devices such as smartphones and tablets to transform the device into an instant photoprinter”. The PowerRay is unlike any drone you’ve seen before! Rather than spotting this one flying overhead in the sky, this drone actually swims underwater – just like a fish. 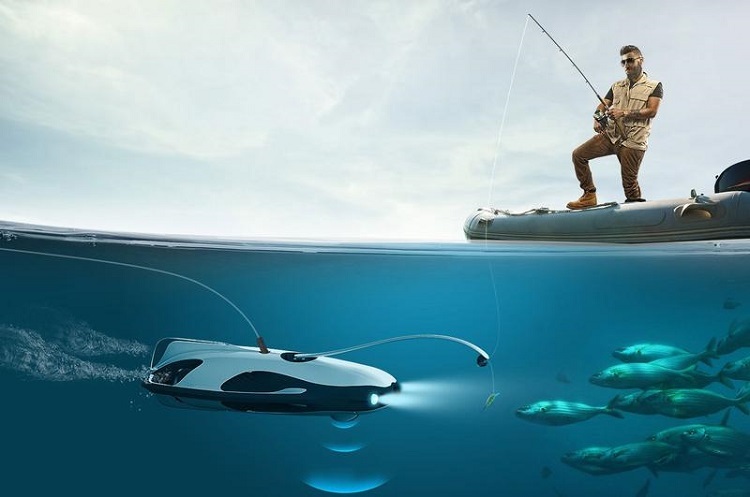 The aim of the PowerRay is to find and film fish in 4K, which is then intended to help anglers find their next catch. It can swim at a maximum depth of 30 meters below sea level and even has the capability of using sonar to seek out the fish, along with a light which acts to attract them. 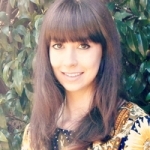 This video footage is then sent back to the user’s phone via Wi-Fi – how cool is that? While you might not be a super-keen fisherman or woman, you’ll be pleased to hear that this device would also work wonders for those interested in photographing all that goes on underwater. You can easily use this device to scope-out your next underwater location for a shoot, or use the stills from your video in your work. For those who are extra serious about this drone (and don’t mind spending the big bucks), there is also the optional function of VR capabilities so you can guide the drone using a VR headset. Pre-orders for this underwater drone began on the 27th of February, so consumers can expect this product to be available shortly! You can also find out more information about it via the PowerVision website. Lomography is at it again, this time with a fantastic new lens which will bring the beauty of old-school photography to just about any modern camera model. 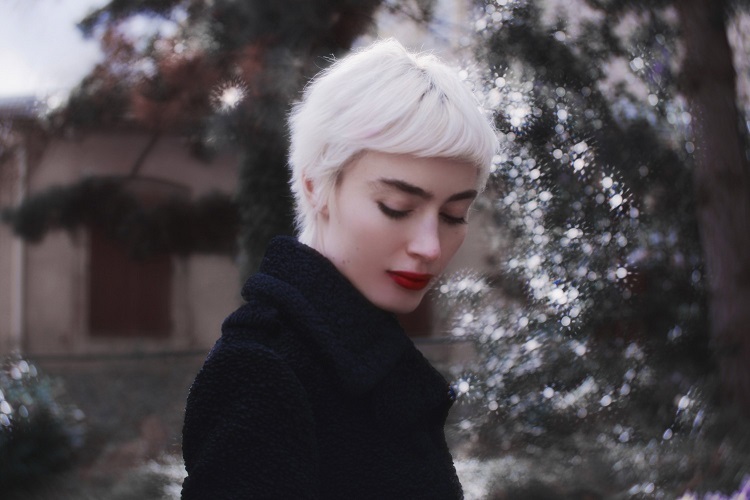 Available in both brass and black, The Daguerreotype Achromat 2.9/64 Art Lens is now available for Canon EF, Nikon F, or Pentax K mounts (both analog and digital), and many other camera models using adaptors. If you’re wondering what’s so special about this gorgeous but antique-looking lens, then we’ll happily to enlighten you. It instantly gives your camera special optical effects such as that much-desired soft-focus, dreamy look, as well as the word all photographers love to hear – bokeh. While this lens might set you back almost $500 USD, you’ll be pleased to know that the pack comes with bonus extras, including highly-anticipated Waterhouse aperture plates, a front and rear lens cap, lens pouch, cleaning cloth, instruction manual (of course), and a photo manual book. 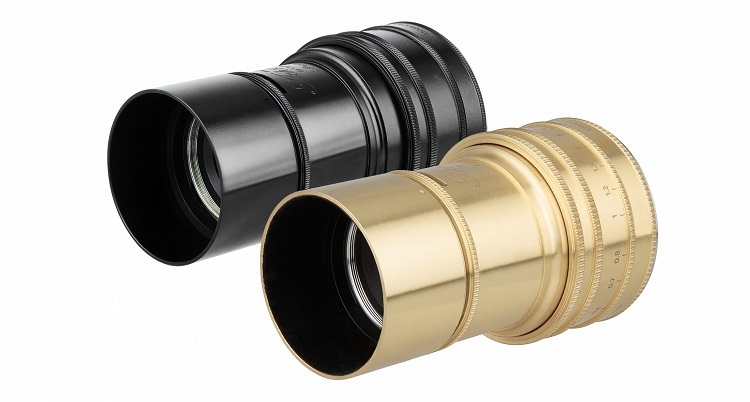 Interested in finding out more about this lens? Check it out on the Lomography website. The world of photography might be an ever-changing one, but one thing is for certain: you just never know what may be around the corner in terms of technological advancements! These are just a very small portion of the latest photography tech and gear releases, but we hope that you’ve enjoyed reading about them nonetheless.